Fig varieties are either classified as black or white, but they are notoriously difficult to identify the exact type as there are over 700 delicious edible varieties. Figs which are green when ripe are classified as white. e.g. the green muscatel variety is low in acid, excellent for drying, eating straight from the tree or making into jam. The black varieties are deep red or black in colour, some black varieties have thicker skin and are often used in baking recipes. Figs are packed full of vitamins, minerals, fibre and anti- oxidants. They ripen quickly during the summer allowing us to pick a bowl full each morning to be chopped and eaten with yogurt and raw honey that we bravely gathered from the bee hive. 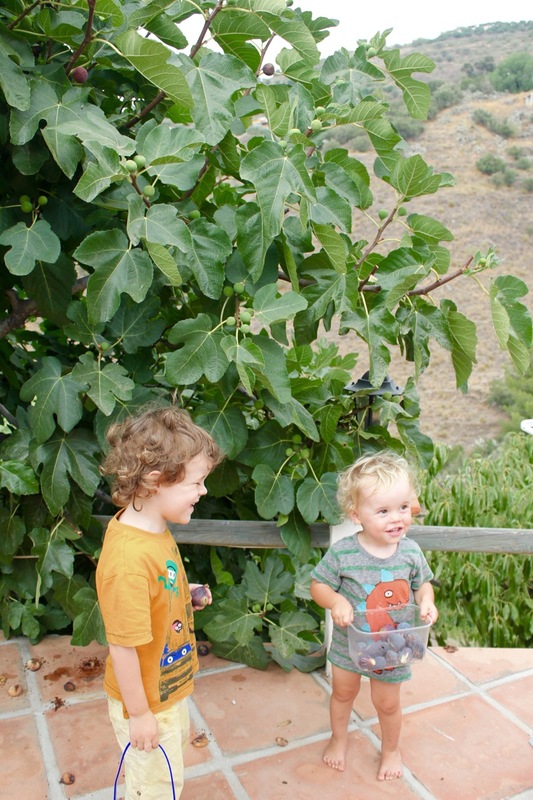 We have over 8 fig trees here in the Spanish Campo and the figs are literally falling off the trees. There is an abundance of the juicy jammy yummy figs and we love them so much we don’t want to waste any of them. To take full advantage of this bountiful daily harvest we have eat figs daily for breakfast and have ried our hand at making chutney, jam, and baking figs as a delicious dessert with ice cream. Below are recipies for a delicious tangy chutney, fruity jam and a simple sweet dessert. Figs are probably best enjoyed straight from the tree, quartered and added to muesli or eaten just on their own. Great with soy milk, yoghurt and honey to add even more delicious sweetness. Method: Put all of the ingredients into a large pan, boil, then simmer (covered) for 30 mins, uncover and simmer until thick and rich. Stir frequently to avoid sticking. Spoon into sterilised jars. Enjoy with some good cheese or as an accompanyment to a curry. The flavours in the chutney will blend together during storage so are best eaten after a month or so (if you can wait that long) and can be kept for at least a couple year unopened. One opened store in the fridge and eat within 3 months. Method: Mash the figs, pour in the water, wine, lemon and leave for 1-2 hours. Bring the figs, lemon juice, red wine and water to a boil over medium heat. Boil until figs are soft and begin to fall apart. Add honey, salt and vinegar. Reduce heat to medium/low. Blend if desired or spoon straight into jars. Keep in the fridge for up to a month, great on buttery toast. Cut each fresh fig into four, keeping the quarters attached at the base. 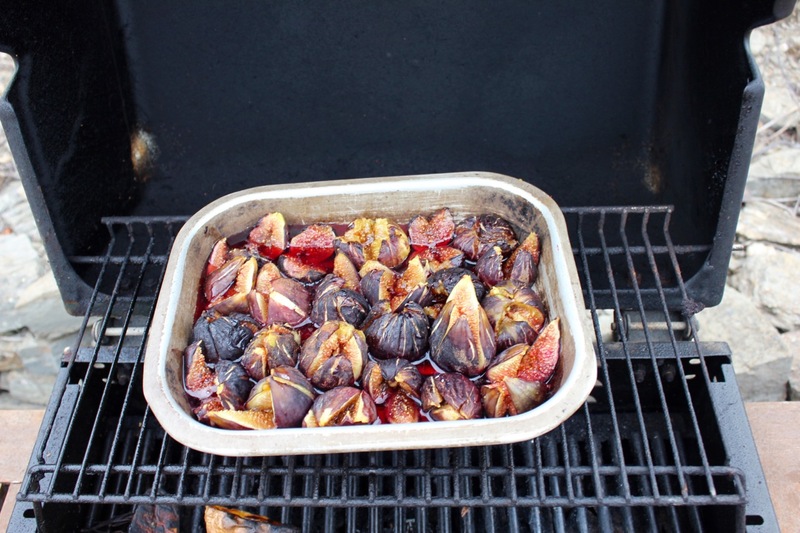 Put the figs into a baking tray, sprinkle with ground cinnamon and drizzle with honey. Bake for 15-20 mins at 200c. (We cooked ours the BBQ, which works just as well!). Serve with vanilla ice cream and drizzle with the sweet figgy cooking juices from the baking tray. One more thing; If you have figs left over that you can’t possibly eat as you have already consumed your own body weight in figs try this handy storage tip; (Thanks mum) To open freeze store, figs can be halved, frozen on a tray and then added to the previous days figs and kept in a bag in the freezer until the figs on the trees have ran out and you really fancy some more. Just leave them overnight in the fridge to defrost and by the morning they are ready to pop on your breakfast. Frozen figs are slightly mushier in texture but have the same delicious figgy flavours! 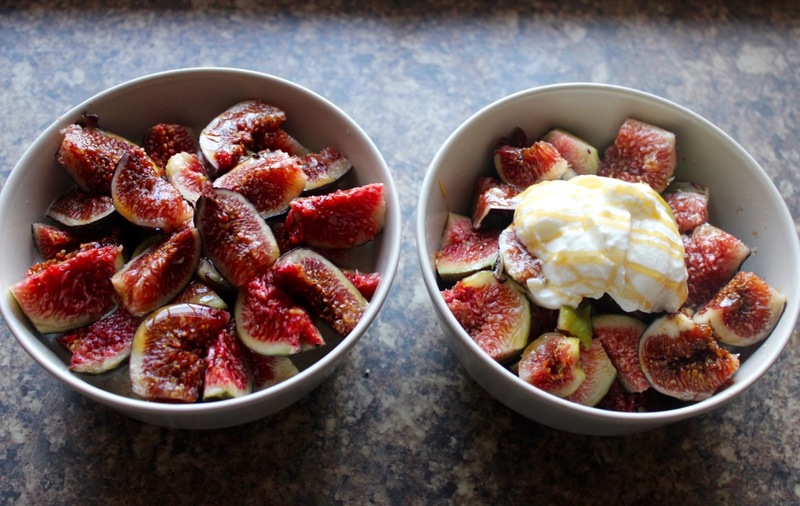 Figs are my favorite fruit, this post goes straight to my favorites! Thanks Ana. Our favourites too! Hope you get a chance to try out some of our recipes! Thanks for your comment Fiona.Hope you have a great trip. It’s such a treat to have fresh figs. Enjoy! Oh yes yummy figs in Croatia too. Enjoy! We all love figs here, the kids like them best dried or with ice cream for pudding..no surprises there; thanks for your comment! Try them if you see them at the supermarket they are delicious! 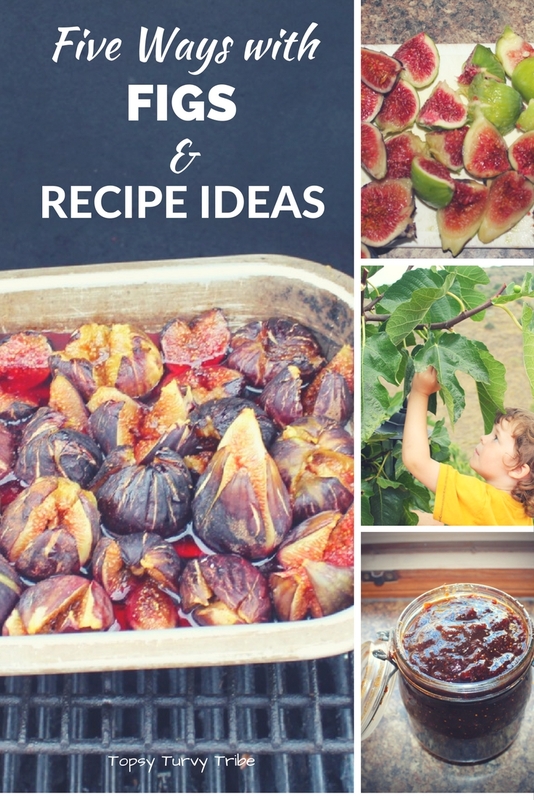 Most fig jams are full of sugar but our recipe is a healthy alternative. Oh and yes, they are wonderful at keeping you regular!! Wow want it all! In France currently and devouring figs! Baked gigs are so delicious,sweet and rich and yummy with ice cream. The jam is great on toast too. Thanks for your comments. Hope you enjoy! Baked figs with ice cream is a treat and easy to prepare too. 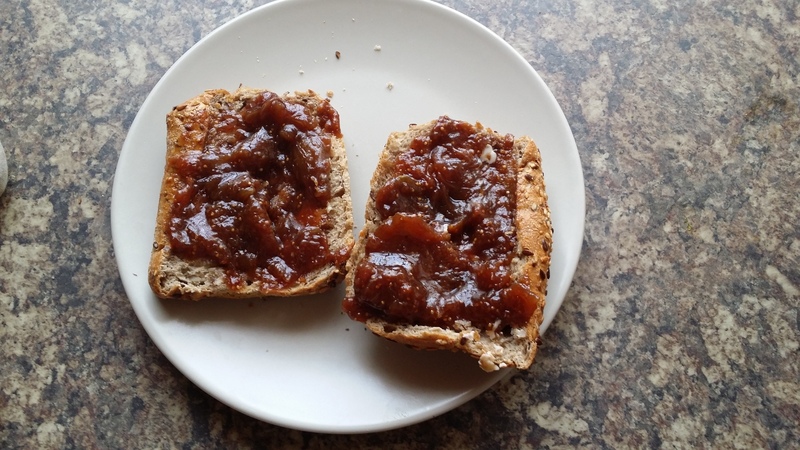 The jam can be used with cakes, tarts, biscuits, crackers, rice pudding, yoghurt, poridge, waffles, pancakes….. I can see why you love figs, have a look at our post on fig and nut energy bars. Substitute the oats and flour for gluten free.